A new year is just around the corner, and so is the opportunity to become a Watershed Brand Ambassador! 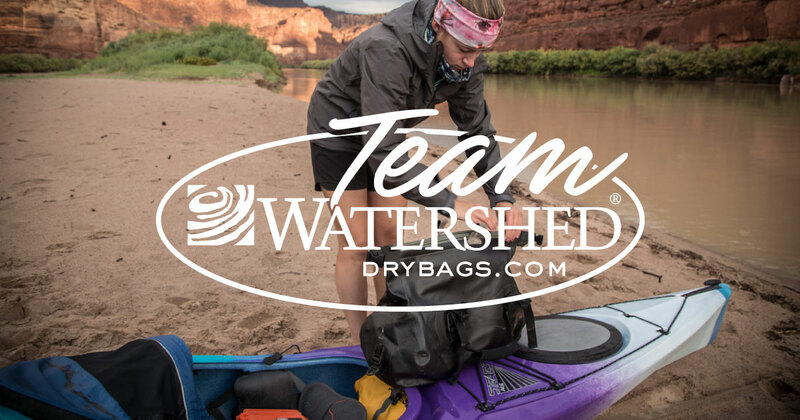 The full list of Team Watershed duties are below (spoiler alert – they’re easy and you’ll love them) – but the most important things to remember are 1) You LOVE Watershed Drybags and our products 2) You LOVE people and are willing to share your Watershed feels 3) You have a public Instagram account. We’re on the look out for all kinds of Team members – not just whitewater athletes! Think: photographer, cliff diver, backpacker, climber, all-around fun haver. If you have what it takes, apply below and we’ll be in touch! Apply here to be a Watershed Brand Ambassador for 2019! If you are on a mobile device or the page isn’t loading, please CLICK HERE. Receive 4 Watershed Drybags Quarterly and use them on your adventures! I am super excited about the chance to even try this out. This sounds like a great opportunity.There are thousands of other competitors and spectators that your drybag would be ideal for.Hope I’m selected.I believe I would make a great ambassador! Thanks you for your consideration! Love my watersheds so far! Always down to see what else you come up with. The Colorado is the perfect size for multi-day river trips, but I’m super excited to try out the backpack for skiing/leading hikes! Just applied and am really hoping that I can work with the Watershed Drybags team in the promotion of my project in Southeast Asia and how their drybags are contributing to the documentation of the plastic pandemic sweeping this planet. Together we can make a difference and save what is left of the environment! When do we know the results ?